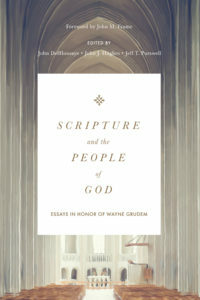 At this year’s annual meeting of the Evangelical Theological Society (ETS), Dr. Wayne Grudem, Distinguished Research Professor of Theology and Biblical Studies at Phoenix Seminary, was honored with a special book written and edited by his colleagues, former students, and friends, including Phoenix Seminary’s Dr. John DelHousaye. The editors of the volume held a special session at ETS where the contributors along with Dr. Grudem’s three sons shared about his ministry, his personal character, and his wide influence on evangelicalism. We are very thankful for his many years of faithful service to the church and to Phoenix Seminary. Congratulations, Dr. Grudem! You can view more photos of the event on Instagram. Scripture is the foundation for all of Christian life and ministry, but in our current age it is being challenged, doubted, and, in many cases, simply ignored. 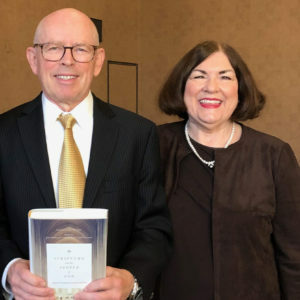 Wayne Grudem, one of evangelicalism’s best-known theologians and authors, has worked tirelessly throughout his life to demonstrate the necessity, sufficiency, and centrality of Scripture. In his honor, Grudem’s friends and colleagues, including John Piper, Thomas R. Schreiner, Sam Storms, Vern S. Poythress, John M. Frame, Gregg R. Allison, Erik Thoennes, and John DelHousaye, have compiled a series of essays on various topics central to Grudem’s life and teaching. Exploring topics such as the nature of Scripture, the relationship between Scripture and doctrine, and the role of Scripture in life and ministry, this volume stands as a testimony to the enduring worth of God’s Word.